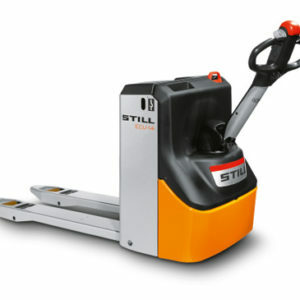 Are you looking for a powerful low lift pallet truck for transporting loads weighing up to 2,200 kg across short distances? 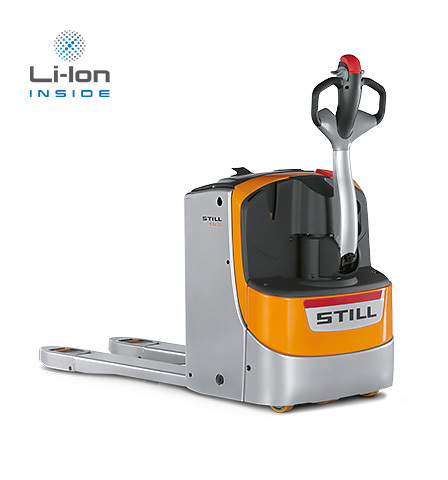 A warehouse assistant which can be manoeuvred precisely and safely even in confined spaces? Then you should take a look at the EXU! 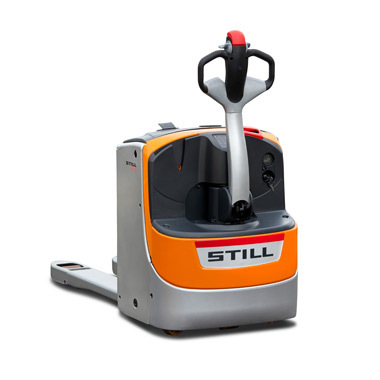 Thanks to its compact size, it is best suited to locations with limited space – from narrow warehouse gangways to loading and unloading lorries and working in supermarket aisles. 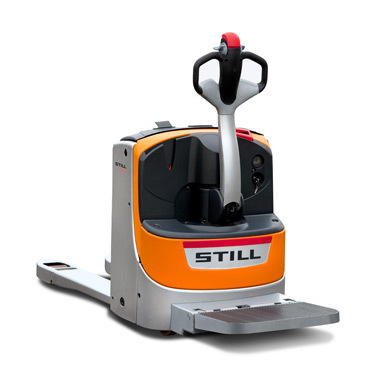 Intelligent: the unique OPTISPEED tiller automatically adapts the speed of the forklift truck to the tiller angle, thus ensuring that goods are transported safely and quickly. 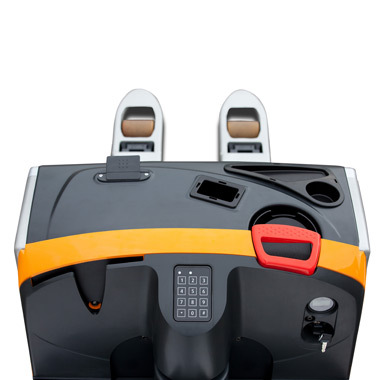 Plus, with the ECO and BOOST driving programmes, you can choose between maximum output and optimum efficiency at the press of a button. 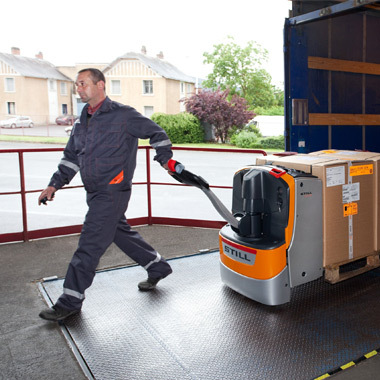 Are you looking to not just transport goods but also protect your employees’ health when carrying out order picking? 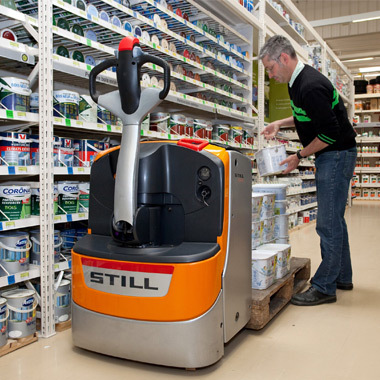 The EXU-H model has an impressive variably adjustable working height of up to 760 mm which guarantees an ergonomically optimum body position for all operators. 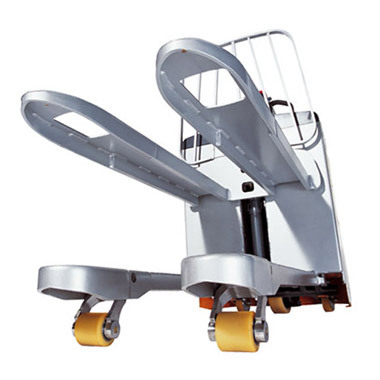 The optional auto-lift function provides even more comfort – a sensor detects the upper edge of the loaded goods and automatically adapts the working height. 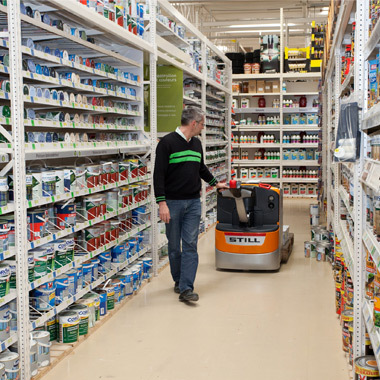 If another layer of goods is added or removed, the loading forks move up or down a fraction by themselves. 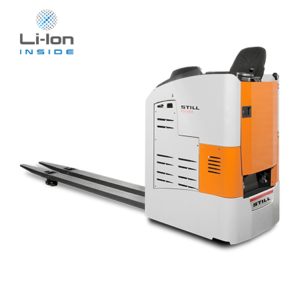 The EXU Li-Ion is an efficient and compact bundle of energy, which guarantees optimum availability. 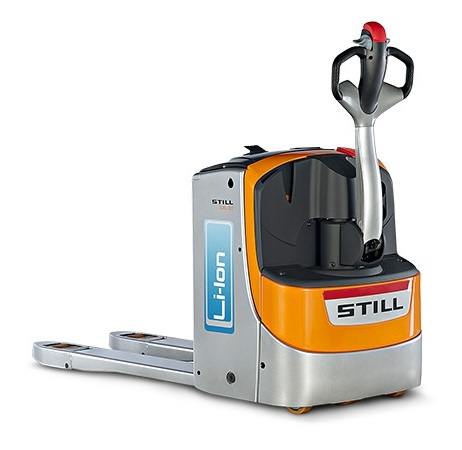 Not only is interim charging of the forklift truck possible, but the charging process itself is significantly quicker than that of conventional lead batteries – the lithium-ion battery can be charged to 60 percent in just 40 minutes. 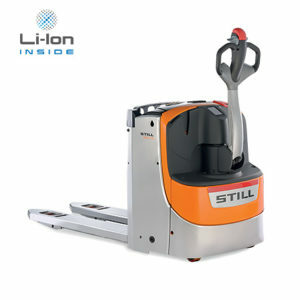 But that is by no means all of the advantages of this modern drive technology: with up to 2,500 charging cycles, the lithium-ion battery lasts around twice as long as a lead battery and can also be used in a cold store. This groundbreaking technology is also setting new standards with regard to safety. Every battery cell is monitored in real time. As a result of the extremely precise discharge indicator, the output can also be utilised extremely efficiently. 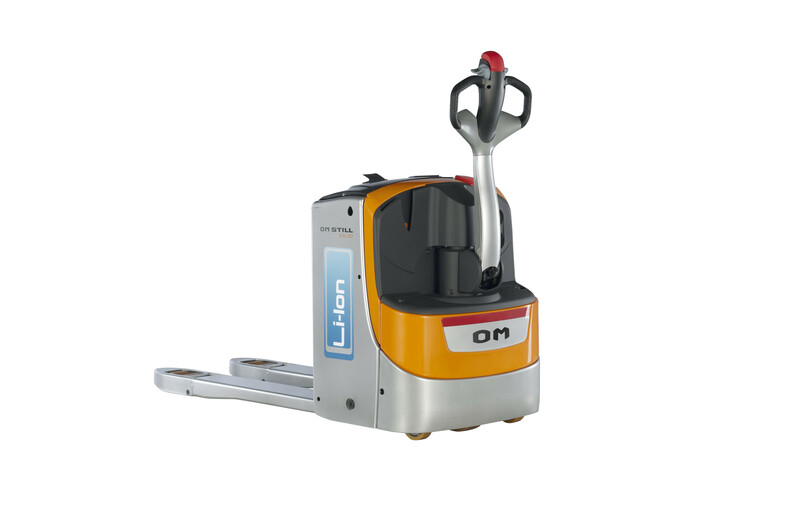 Due to the fact that lithium-ion batteries concentrate a large amount of energy into a small space, the EXU Li-Ion is also the most compact forklift truck in the EXU product line. 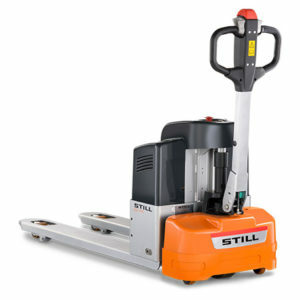 In short, it is the ideal low lift pallet truck or extended periods of operation in industry, the retail market and logistics.